Spirited Away directed by Hayao Miyazaki. As part of the Academy of Motion Picture Arts and Sciences' three-month celebration of anime, a screening of Hayao Miyazaki's 2002 Oscar-winning animated feature Spirited Away will take place on Friday, July 17, at 7:30 p.m., at the Samuel Goldwyn Theater in Beverly Hills. 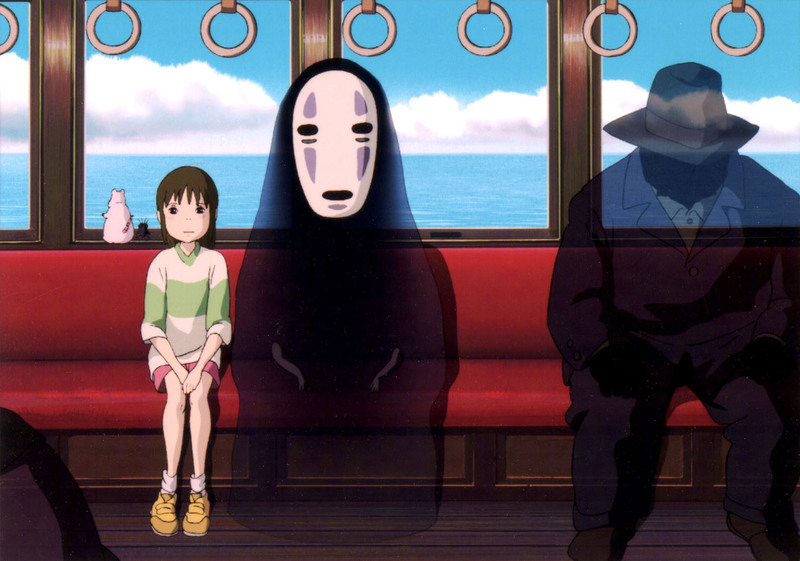 The quirky Spirited Away is my favorite among the Miyazaki features I've seen. The tale of a young girl who accidentally gets embroiled with witches, spirits, and assorted bizarre creatures (see above), Spirited Away is filled with dark, crazy magic. That evening, the “ANIME!” exhibition, which includes a number of items from Miyazaki's Studio Ghibli efforts, will be open in both the Grand Lobby and Fourth Floor galleries starting at 6:30 p.m. and following the screening until 11 p.m. The tribute to Hayao Miyazaki will feature clips from several of Miyazaki's films and a conversation with the filmmaker himself. Among his other features are Castle in the Sky, My Neighbor Totoro, Kiki's Delivery Service, Porco Rosso, Princess Mononoke, and the 2005 Oscar nominee Howl's Moving Castle. That evening, the “ANIME!” exhibition will be on view in the Grand Lobby Gallery for one hour following the tribute. Tickets for Spirited Away and “A Tribute to Animation Master Hayao Miyazaki” go on sale starting June 25 and are $5 for each event for the general public and $3 for Academy members and students with a valid ID. Tickets may be purchased online at the Academy's website, in person at the Academy box office or by mail. Doors open at 6:30 p.m. All seating is unreserved. The Academy is located at 8949 Wilshire Boulevard in Beverly Hills. For more information, call (310) 247-3600 or visit www.oscars.org. “ANIME! High Art - Pop Culture” will be on display through Sunday, August 23. The Academy's galleries are located at 8949 Wilshire Boulevard in Beverly Hills, and regular hours are Tuesday through Friday, 10 a.m. to 5 p.m., and weekends, noon to 6 p.m. Admission is free. The galleries will be closed for the Independence Day holiday weekend, July 3 through 6. 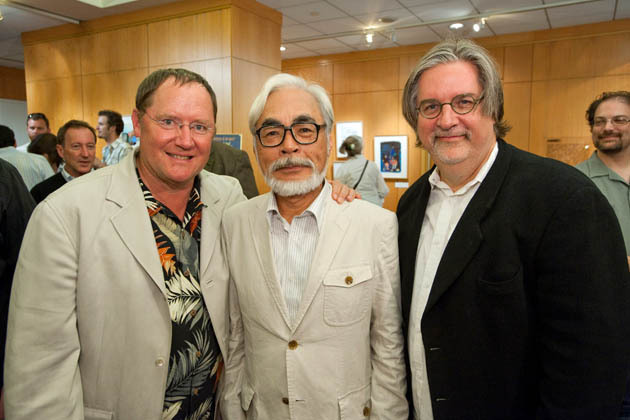 Hayao Miyazaki art honored in Academy tribute attended by Pixar's John Lasseter and 'The Simpsons' animator Matt Groening. July 30 update: The Academy of Motion Picture Arts and Sciences paid tribute to the art of Hayao Miyazaki with the presentation of “The 13th Marc Davis Celebration of Animation: Hayao Miyazaki” a.k.a. “A Tribute to Animation Master Hayao Miyazaki.” Hosted by Pixar animator John Lasseter, the event was held on Tuesday, July 28, '09, at the Academy's Samuel Goldwyn Theater in Beverly Hills. Among those in attendance were veteran voice actress June Foray, Disney animators Ron Clements and John Musker, and The Simpsons cartoonist/animator Matt Groening. By the way, Marc Davis (1913–2000) was a Walt Disney Studios animator whose credits include Alice in Wonderland (1951), Peter Pan (1953), and Sleeping Beauty (1959). 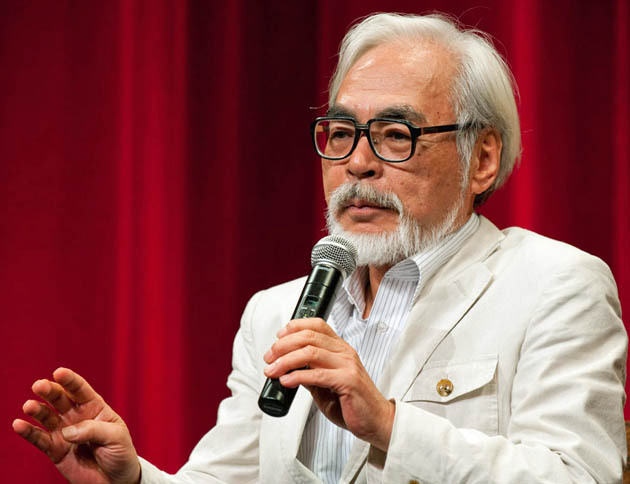 The Academy's tribute to Hayao Miyazaki featured clips from several of his films and a conversation with the filmmaker himself. 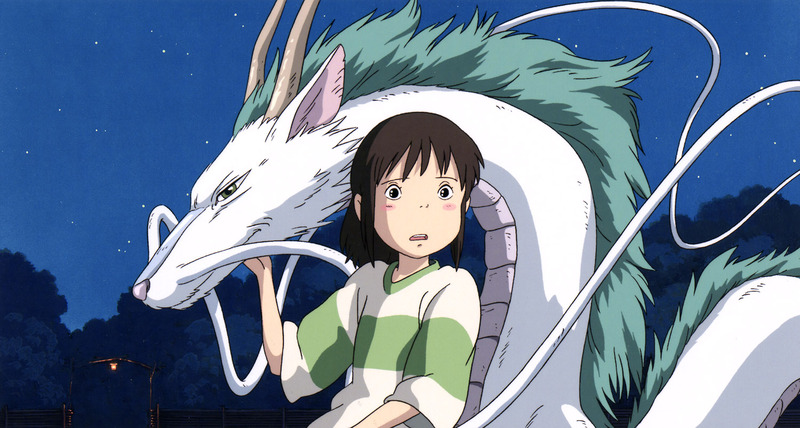 On July 17, the Oscar-winning Spirited Away was screened at the Samuel Goldwyn Theatre. Among Miyazaki's other features are Castle in the Sky, My Neighbor Totoro, Kiki's Delivery Service, Porco Rosso, Princess Mononoke, and the 2005 Best Animated Feature Oscar nominee Howl's Moving Castle. 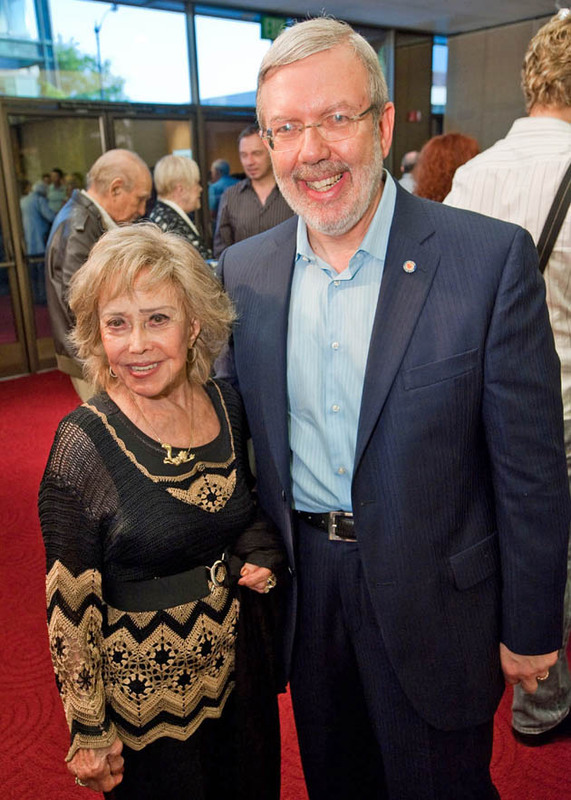 June Foray, veteran voice actress heard in Disney's 'Cinderella' and Peter Pan,' with movie reviewer Leonard Maltin. In case the IMDb's information is accurate, veteran voice actress June Foray (born on Sept. 18, 1917, in Springfield, Massachusetts) has been heard in about 140 feature and short films going all the way back to 1943, frequently in uncredited “bit” voice parts. Lucifer in Walt Disney's Cinderella (1950). Granny in Fritz Freleng's Tweetie Pie/Sylvester A Bird in a Bonnet (1958) – and in other shorts in the series starring the voice of Mel Blanc. Assorted voices/vocal sounds in several Tom & Jerry shorts of the 1960s, e.g., the 1965 entries Tom-ic Energy and Duel Personality. Wheezy and Lena Hyena in Robert Zemeckis' Who Framed Roger Rabbit (1988), starring Bob Hoskins, Joanna Cassidy, and Christopher Lloyd. In Disney's Peter Pan, she reportedly provided the voices of a mermaid and a squaw. Rocket J. Squirrel in the series Rocky and His Friends (1959–1961). Aunt May Parker in Spider-Man and His Amazing Friends (1981–1983). Recent June Foray voice roles include those in the TV series The Marvelous Misadventures of Flapjack (2009), and a trio of roles, including Rocky, in Des McAnuff's feature The Adventures of Rocky & Bullwinkle (2000). 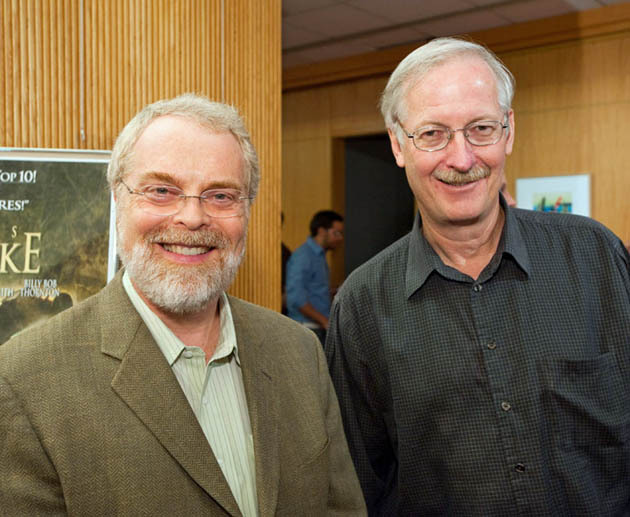 Ron Clements and John Musker: Disney animators. The Princess and the Frog (2009). Voice Cast: Anika Noni Rose. David Campos. John Goodman. Oprah Winfrey. Terrence Howard. Voice Cast: Roscoe Lee Brown. Corey Burton. Joseph Gordon-Levitt. Patrick McGoohan. Austin Majors. David Hyde Pierce. Emma Thompson. Martin Short. Jane Carr. Voice Cast: Tate Donovan. Josh Keaton. Danny DeVito. Susan Egan. Barbara Barrie. Samantha Eggar. Hal Holbrook. Amanda Plummer. James Woods. Rip Torn. Charlton Heston. Voice Cast: Scott Weinger. Robin Williams. Linda Larkin. Jonathan Freeman. Frank Welker. Gilbert Gottfried. Corey Burton. Voice Cast: Jodi Benson. Rene Auberjonois. Christopher Daniel Barnes. Pat Carroll. Buddy Hackett. Kenneth Mars. Paddi Edwards. The Great Mouse Detective (1986), with Burny Mattinson and David Michener. Voice Cast: Vincent Price. Barrie Ingham. Alan Young. Shani Wallis. Melissa Manchester. 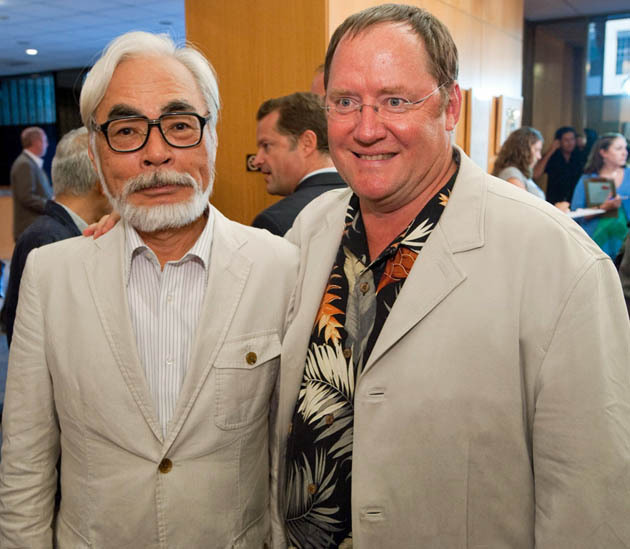 Hayao Miyazaki and Pixar animation artist John Lasseter. The Academy's exhibition “ANIME! High Art - Pop Culture” will remain on display through Sunday, Aug. 23. The Academy's galleries are located at 8949 Wilshire Boulevard in Beverly Hills. Regular hours are Tue.–Fri., 10 a.m. to 5 p.m., and weekends, noon to 6 p.m. Admission is free. Ron Clements, John Musker, June Foray, Leonard Maltin, Matt Groening, John Lasseter, and Hayao Miyazaki photos: Todd Wawrychuk / © A.M.P.A.S. Except for Vagabond, a 1985 drama that earned Sandrine Bonnaire best actress awards from both the French Academy and the Los Angeles Film Critics Association, I'm unfamiliar with Agnès Varda's oeuvre, which encompasses more than 40 films – both shorts and features, narrative and documentaries – spanning 54 years (1954-2008). Well, I'll now have the chance to rectify that glaring omission in my cinematic connoisseurship – on the big screen – and so will other Los Angeles area denizens. One of the most respected filmmakers in the world, the iconoclastic Agnès Varda will be the subject of a mini-retrospective at the American Cinematheque's Aero Theatre in Santa Monica from June 24-July 1. Varda, whose films frequently focus on women and their issues, will be present throughout the series to talk about her work. Jacquot de Nantes (1991), the celebrated semi-documentary about Varda's late husband, Jacques Demy, the director of classics such as Lola and The Umbrellas of Cherbourg. Cleo from 5 to 7 (1962), the French Nouvelle Vague classic that shows two hours in the life of a pop singer (Corrine Marchand). Vagabond (1985), which follows the last months in the life of a drifter, played by Sandrine Bonnaire. Murs Murs (1980), described as a tribute to the outdoor murals found throughout the Los Angeles area. Lions Love (and Lies) (1969), set in late 1960s Los Angeles, and featuring Andy Warhol's diva Viva and Hair authors James Rado and Jerome Ragni. The American Cinematheque will also offer a sneak preview of Varda's latest, The Beaches of Agnès (top photo), a highly praised autobiographical work that won this year's César for best documentary. The Aero Theatre is located at 1328 Montana Avenue in Santa Monica. For more information, call 323.466.FILM or visit the Aero's website. JACQUOT DE NANTES, 1991, Ciné-Tamaris, 118 min. Director Agnès Varda's tender farewell to her late husband, Jacques Demy, JACQUOT re-creates the early years of Demy's life in the port city of Nantes, delicately interwoven with clips from LOLA, THE UMBRELLAS OF CHERBOURG and his other films. Interspersed throughout the film are intimate close-ups of Demy's fragile body, tenderly filmed by Varda in one of her most personal and affecting films. With Philippe Maron, Edouard Joubeaud, Laurent Monnier. “Has there been anything quite like JACQUOT DE NANTES?…It deserves to be called a CINEMA PARADISO without self-indulgence, or a 400 BLOWS without self-pity.” - Film Comment. Plus short: “Uncle Yanco”, (1967, Ciné-Tamaris,, 22 min.) While in San Francisco for the promotion of her last film in October 1967, Agnès Varda, tipped by her friend Tom Luddy, gets to know a relative she had never heard of before, Jean Varda, nicknamed Yanco. This hitherto unknown uncle lives on a boat in Sausalito, is a painter, has adopted a hippie lifestyle and loves life. The meeting is a very happy one. Discussion following with director Agnes Varda, moderated by film critic Kevin Thomas. THE GLEANERS & I (LES GLANEURS ET LA GLANEUSE), 2001, Zeitgeist, 82 min. Once again Agnes Varda uses the documentary format as a jumping-off point for an expressionistic diary in which her own life intercedes. A marvelous “wandering road documentary” that focuses on the centuries-old tradition of “gleaning” in France – literally picking up the castoffs of others. Varda follows rural scavengers who gather leftover vegetables after the harvest, and urban scavengers who collect discarded food and appliances from the streets of Paris. Interwoven with these are Varda's own intimate thoughts on aging, humorous interviews with judges and attorneys who debate, Monty Python-style, the legality of gleaning while standing in potato fields, and a host of other spontaneous musings on French art and culture. Through it all, Varda's patient sense of social obligation shines through, as she asks again and again, “How can one live on the leftovers of others?” “I managed to approach [the gleaners], to bring them out of their anonymity. I discovered their generosity. 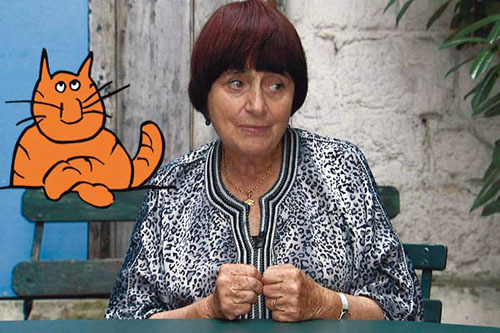 There are many ways of being poor, having common sense, anger or humor.” – Agnès Varda. THE GLEANERS & I: TWO YEARS LATER, 2002, Zeitgeist, 60 min. Varda's exuberantly inventive follow-up to her critically lauded essay film, in which she revisits characters from the original and further explores what it means to be a gleaner. Discussion in between films with director Agnès Varda and members of Fallen Fruit, a Los Angeles based organization inspired by THE GLEANERS. LIONS LOVE (AND LIES), 1969, Ciné-Tamaris, 110 min. A blissed-out experiment in anarchy and illusion, featuring Warhol superstar Viva (from LONESOME COWBOYS) and “Hair” authors James Rado and Jerome Ragni playing “themselves” – three innocents adrift in Hollywood. Freely mixing improvisation with scripted dialogue, and occasional news reports on the shootings of Robert Kennedy and Warhol, which interrupt the film, LIONS LOVE is Agnes Varda's gloriously screwy time capsule of L.A. in its free-love acid-tripping let-it-all-hang-out heyday. In English. MURS MURS, 1980, Ciné-Tamaris, 81 min. Essential viewing for all Angelenos, MURS MURS is Varda's lively tribute to this city's outdoor murals, from the riotous Pig Paradise in Vernon to The Fall of Icarus in Venice. Along the way, she captures priceless interviews with the muralists themselves, including 23-year old Judy Baca, who observes, “I started painting because I realized… that I had never seen a Chicana in a museum.” In English. Discussion in between films with director Agnès Varda. CLÉO FROM 5 TO 7 (CLEO DE 5 A 7), 1961, Ciné-Tamaris, 90 min. Dir. Agnès Varda's international breakthrough film, CLEO ranks with BREATHLESS and THE 400 BLOWS as one of the seminal works of the French New Wave. Two hours in the life of a hopelessly pretty pop singer (Corrine Marchand), who may or may not be dying of cancer. Vain, childish and selfish at the start, Cléo's journey through Paris becomes a journey of self-discovery. “The streets of Paris are filmed like they have never again been filmed” - Telerama. VAGABOND (SANS TOIT NI LOI), 1985, Ciné-Tamaris, 107 min. Agnes Varda's most acclaimed work since CLÉO and arguably the greatest French film of the 1980s, VAGABOND tells the brutal, simple, yet unrelenting story of the last months in the life of a young female drifter. Sandrine Bonnaire's harrowing performance in the lead role made her an overnight international star at the age of 18. (The French title of the film literally translates as “without roof or law.”) Shot in a semi-documentary style, the film opens abruptly on the body of Mona, frozen to death in a ditch on the side of the road. Interspersed with flashbacks of Mona's life as a drifter are reminiscences by the people she met along the way. In spite of Varda's attention, Mona ultimately remains unknowable, even to herself. She is a cipher, misunderstood by those she has encountered even as they recall their impressions and interactions with her for the camera. Discussion in between films with director Agnès Varda. Sneak Preview! THE BEACHES OF AGNÈS (LES PLAGES D' AGNÈS), 2008, 110 min. “If you opened people up, you would find landscapes,” Varda says in the opening voiceover of her new film. “If you opened me up, you would find beaches.” Varda's latest work is an autobiographical essay that takes a nostalgic yet penetrating look back at her life and films. Using photographs, recreations and scenes from her films, Varda illustrates the various stages of her life, from her marriage to Jacques Demy and his death in 1990 to her childhood memories of Sète, the fishing village that would become the subject of her first film. Woven through these reminiscences are lonely, dreamlike sequences shot on the beaches that have influenced and inspired her. Plus US Premiere! “Gwen From Brittany,” a short portrait of the encounters over the last decade of Agnès Varda and Gwen Deglise, programmer at the American Cinematheque, shot at the Aero and Egyptian Theatres while Varda was in Los Angeles shooting THE BEACHES OF AGNÈS. Discussion in between films with director Agnès Varda.